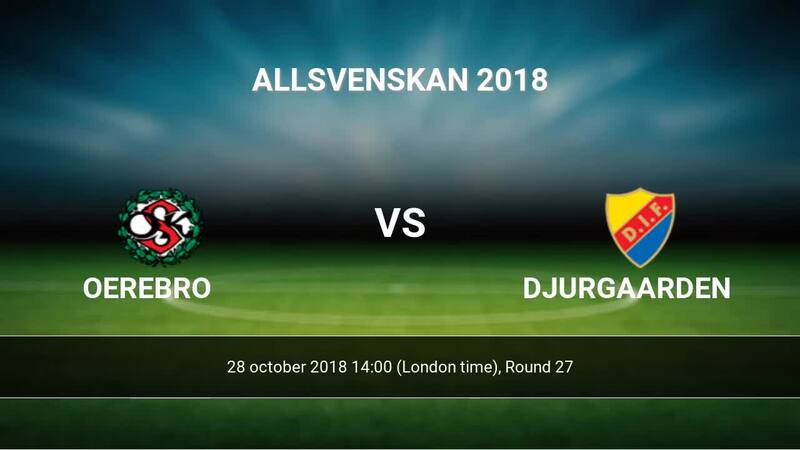 Kick off Oerebro-Djurgaarden in Allsvenskan on 28-10 14:00. Referee in the match will be . Team Oerebro is located in the middle of the table. (9 place). In 5 last matches (league + cup) team gain 5 points. From 2 matches can't win a match. Not lost the match at home from 4 games. In this season games Allsvenskan the most goals scored players: Kennedy Igboananike 8 goals, Filip Rogic 7 goals, Nahir Besara 5 goals. They will have to be well guarded by defense Djurgaarden. Most assists in the club have: Kennedy Igboananike 1 assists, Filip Rogic 1 assists, Nahir Besara 7 assists. Team Djurgaarden is located in the middle of the table. (8 place). Last 5 games (league + cup) finished balance 6 points. Djurgaarden did not win the match from 4 games. From 4 matches away no lost a match. Leading players Djurgaarden in Allsvenskan is: Tino Kadewere 8 goals, Kerim Mrabti 6 goals, Aliou Badji 5 goals. Players Tino Kadewere 2 assists, Kerim Mrabti 1 assists, Aliou Badji 2 assists will have to be very well guarded by defenders Oerebro, because they have the most assists. Direct matches: Djurgaarden won more direct matches. 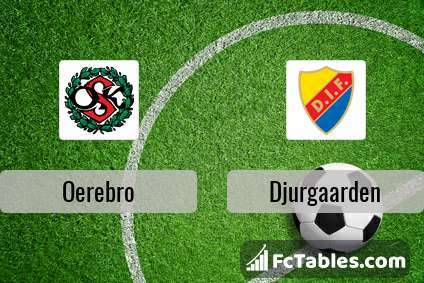 Oerebro won 7 matches , Djurgaarden won 22 direct matches, was a 4 draws. In 17 matches the sum of the goals both teams was greater than 2.5 (Over 2.5), and 26 matches teams scored more than 1.5 goals (Over 1.5). In 13 matches the both teams scored a least one goal (Both teams to score).